super young horse, CP Aurelio. How is it that you came to own CP Aurelio? ?My 4 * eventer was getting towards the end of his career and I had had a few off the track Thoroughbred's but none of them were really going to take me to the places I wanted to be. I wanted a horse that was going to be very competitive on the flat as well as being very careful in the showjumping!! As luck would have it Charlie was at a friends place to be broken in. My friend mentioned to me that he was jumping bred so we decided to free jump him and WOW! I was so excited to come across this super young horse that looked to have all the qualities I was looking for that I decided then and there that I needed to find a way to buy this horse!! What have been your highlights with CP Aurelio to date? 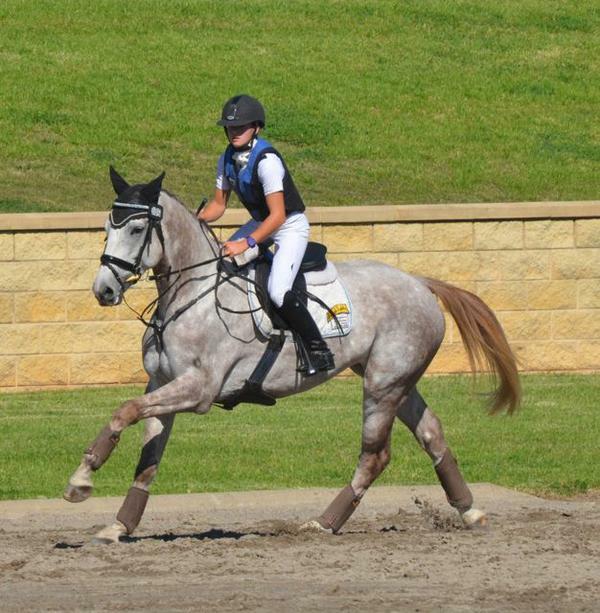 Charlie placed 2nd in the 4 year old Young Event Horse Class at Sydney 3DE. He won the dressage and and Showjumping sections convincingly. It was only his second outing and he was a bit green in the XC section. He went on to compete a lot in his 4 year old year and always came home with a ribbon. He was always in the first couple after dressage but I really took my time XC to get him confident so his result didn't always reflect his actual performance. Charlie really excited me in his 4 year old year. He just took it all in his stride. He hasn't done much in the last 18 months as I've been flat out with work commitments. I hope to do a bit of eventing as well and straight showjumping with him. I think he is too good a jumper just to event. 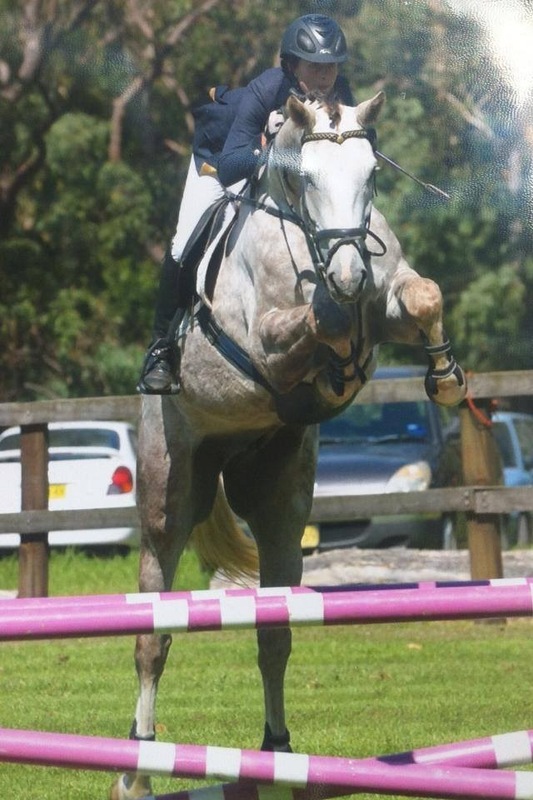 He loves his XC but I think he is good enough to pursue a specialised jumping career. At the moment I am thinking of going in that direction. What do you feel are CP Aurelio's best qualities? Just his quality! He is a super mover and has an exceptional technique over a fence. He is extremely trainable and tries hard at all times. He never gets frustrated in training and if he doesn't get it right he just keeps trying. He is a very sweet horse who is suspicious of new people but once he gets to know you he is your best mate. You know what it is like to ride at 4* eventing level - do you think Charlie has the raw ingredients needed in a horse to compete up to this level? Yes for sure! He doesn't want to touch the fences but he is not scared either. I ensured that he received a lot of structured schooling as a 4 year old to get his confidence and he did 10 intro events before I was happy to step him up. It was a long process but now he gives the feeling he will jump anything. Charlie loves his XC and is now lots of fun to ride XC. He can be suspicious and spooky the first 4 or so fences but this is just greeness. Once he gets going he is as brave as can be and drags me to the next fence. 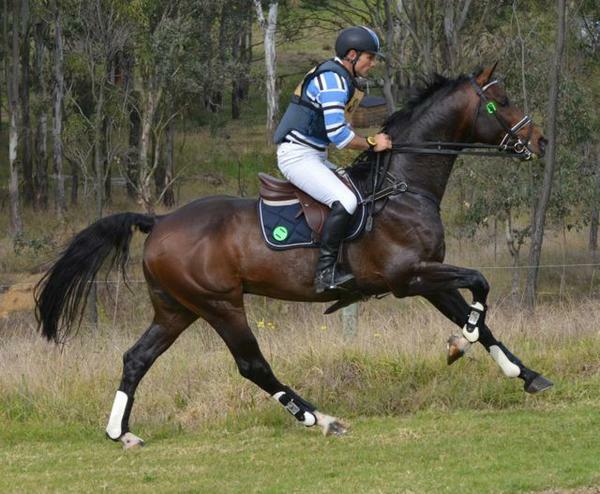 He is very athletic for a big horse and has great endurance. He never seems to get tired - I've never once seen him tried at home or at a show! He hardly even puffs after XC. He is actually a very similar to ride XC as my old 4* horse, except Charlie is a bit more rideable and does what he is told a bit more!! I think if I knucked down I could have him at 1* level very quickly. What would you change about CP Aurelio if you could? In the early days he was pink!!! I couldn't wait for him to grey out, which he has now! But in all seriousness there is nothing you could change he is pretty perfect! I just love his work ethic and his nature. Having grown up riding thoroughbreds off the track I feel very spoilt to be able to ride a horse with Charlies attitude. If I was still riding full time I would have a stable full of Contenda progeny! 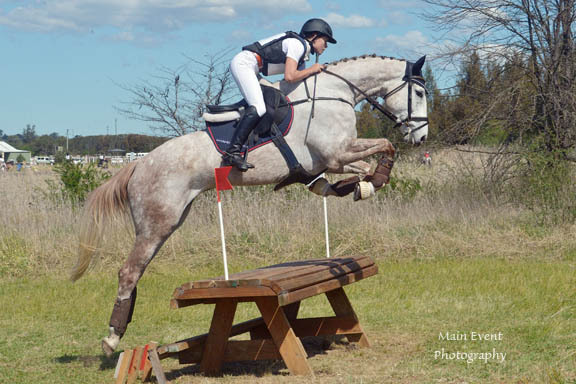 or own your own eventing superstar by Contenda? At Wimborne Park Stud our goal is to help you make your equestrian dreams come true no matter how big or small they may be.